SaintScream with HIM Project proudly announce global project in HIM anniversary! After 2 years of silence the bad come back with a great album "Tears On Tour" on the stages all over the world! Tears On Tour comes to an end, and we collect 86 bootlegs in audio-format for all period of last tour!Weekly, every Saturday, we gonna release 5 bootlegs from "Tears On Tour"! 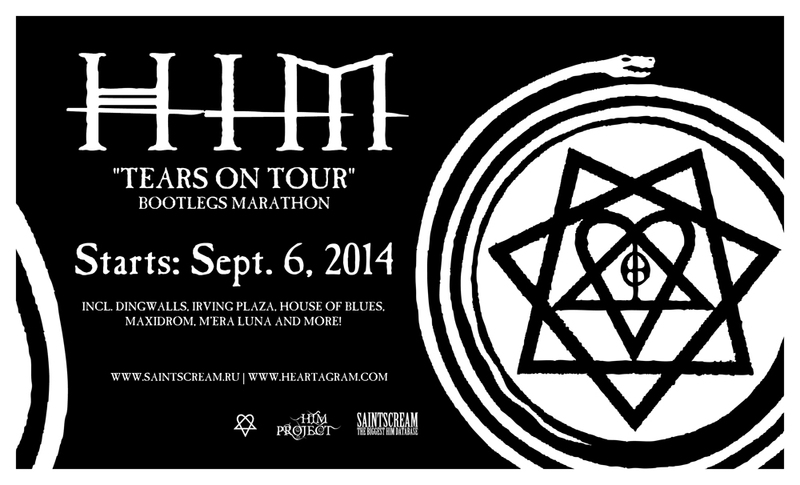 On September 6 starts our "Bootlegs marathon"! Stay tuned and subscribe to our Twitter and YouTube channel!